Internet marketing at holiday time isn’t just about percentages off and free-shipping coupon codes. Sometimes (biiiiig emphasis on sometimes), customers are content with a greeting that simply shows a measure of gratitude for their loyalty. Take a look at our first example below. 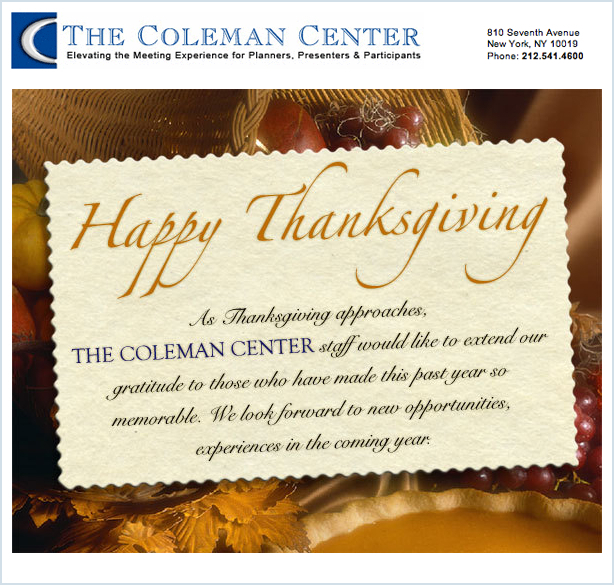 It’s a newsletter-type e-mail that we sent on behalf of The Coleman Center, a client that offers meeting space within its Manhattan-based meeting and conference center. 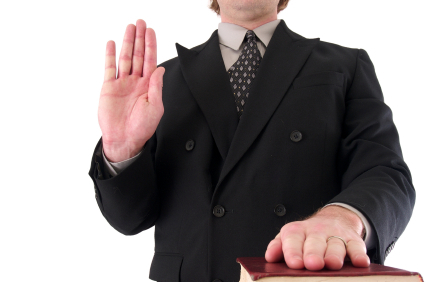 The Coleman Center isn’t a client for which we send e-mail discounts on their services. Their business just doesn’t lend itself to that kind of marketing. But, because its guests extend a generous amount of resources to hold their meetings at the center, we decided that a holiday greeting was in order to show appreciation. With an open rate of 26.8%, this campaign was a success in spreading cheer and well wishes while helping keep the center on the minds of its constituents. The second holiday message we sent was for a new client called Air Charter Services. ACS approached us with a general idea for a humorous greeting. After our illustrator created the art, we wrote several funny tag lines, ultimately settling on the copy below. We just loooove these quick “Get to the Po!nt” gifts that MarketingProfs – marketing resources for marketing professionals – send us every few days. Recently we received one on testimonials and how they can enhance your Web site and your business’s bottom line. Peruse it below. We think you’ll find the article informative.